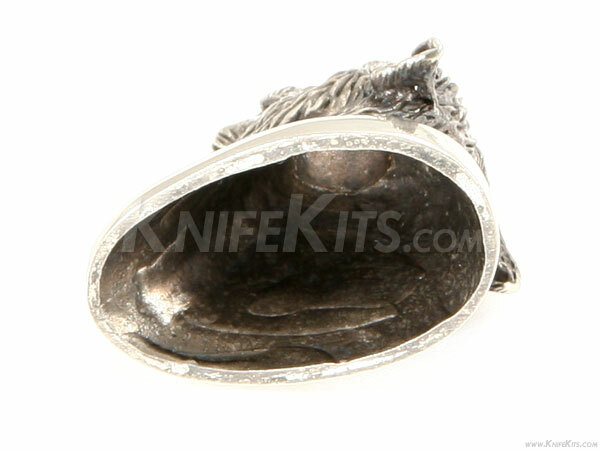 This is a decorative nickel silver pommel used to close (and hold) the handle on a fixed blade knife. 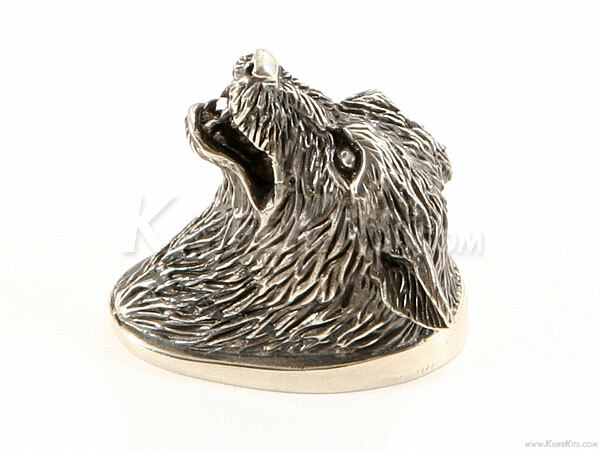 This model features a fully engraved wolf head. This buttcap can be adapted to work with most hidden tang handle designs. Additional material has been left on bottom and outer edge for finish-sanding and shaping. 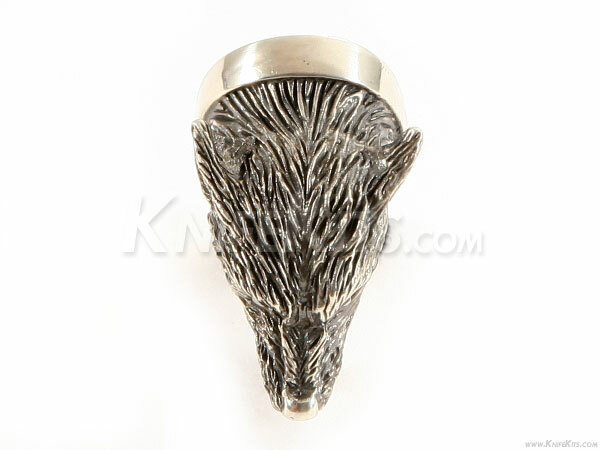 These are very high quality and will professionally dress-out any custom knife handle.